We all remember our first job in our chosen fields. For Steve Newvine, that first job was here at Fox 40 (WICZ-TV). The 61-year-old says the Triple Cities left a permanent mark on him and he wrote a book about his experiences here. 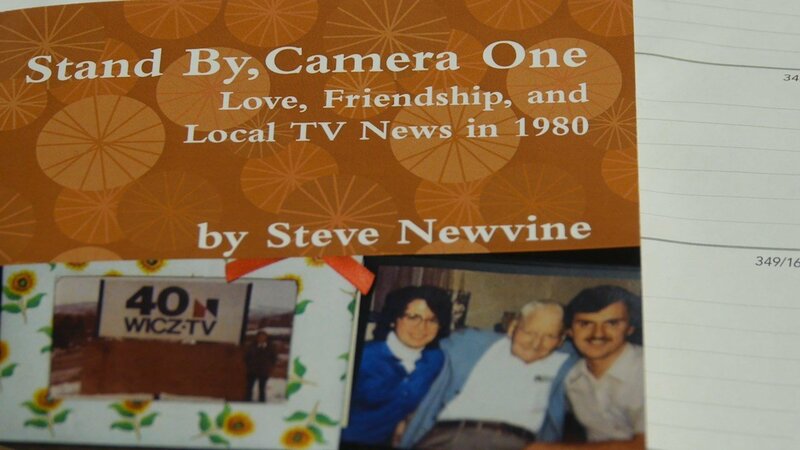 It's called "Stand By, Camera One: Love, Friendship, and Local TV News in 1980." Back it up to the year 1979. A nervous, but excited Newvine is standing in the WICZ lobby. He's 22 years old and fresh out of Syracuse University. He had just accepted the job at WICZ and was in to meet with the News Director on his first day. "He took me into the newsroom," says Newvine, "And I describe in the book what the newsroom looked like." That description includes a four-drawer metal filing cabinet, which currently holds our future files for stories we're planning on covering. Newvine says there were three metal desks in the newsroom. I'm writing this from one of those desks. Not much has changed in local news and it's not just the furniture. "I was doing sports and weather that first week and I would report between the six and eleven o'clock news," says Newvine. 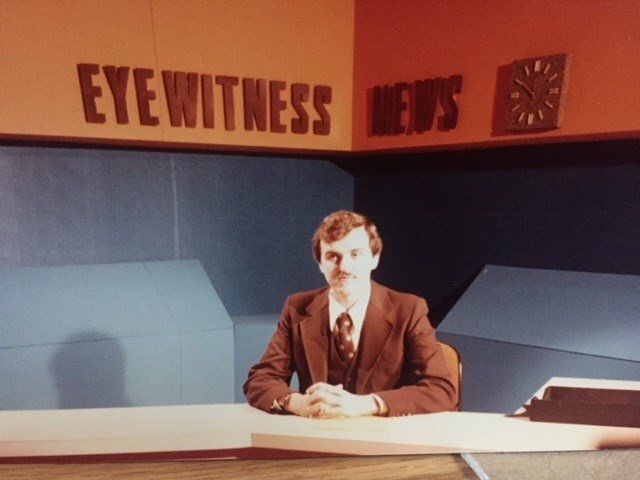 Steve Newvine anchoring at WICZ in 1979, then referred to as "Eyewitness News." In a news market like Binghamton, reporters have to wear many hats and be good at time management. Newvine says he and his photographer Peg Donovan would cover 5 to 6 stories a day, sometimes more. "It was always busy," remembers Newvine. Newvine says he learned a lot on the job, but it was the professional and personal connections he made that have stuck with him all these years. There was his crew of co-workers, but there was also Andy. Andy was an elderly man Newvine met while walking near his apartment in Johnson City. "He would smile, and then that led to small talk and eventually I found out he lived right near my apartment and he asked me to come play checkers with him," says Newvine, "I'd go over there every Thursday. He lived with his daughter and son-in-law and about a month in he asked me if he could teach me chess." At those weekly chess matches Andy would tell stories about the history of the area. "He knew Mr. George F Johnson and he just had great stories about what went on in the history of the Triple Cities," says Newvine. In 1980, Newvine married his longtime girlfriend, Vuane, her engagement ring bought with money saved up from his WICZ paycheck. That same year he would leave Binghamton for good, finding a new opportunity at a station in Alabama and saying a final goodbye to Andy and his co-workers. Newvine went on to work in several other news markets before finding his way to California where he plans to retire soon. He and Vuane are celebrating 39 years of marriage in 2019. "This book isn't just a tribute to the station and that first job, but just that first year of your professional life," says Newvine. It was a year that Newvine says built him as a person. After all, it's your experiences and people you meet who make you who you are. Newvine's book is available on his publisher's website here.